TOBY’S FOUNDATION is pleased to announce that we are giving Twenty-Five thousand dollars ($25,000) to Co-Sponsor the new CHF grant for Dr. Ned E. Patterson, DVM PhD, University of Minnesota, to continue his canine epilepsy research on the Australian Shepherd. Thanks to your generosity and support we are able to provide $25,000 to sponsor Dr. Patterson’s grant “Identification of Idiopathic Epilepsy Genes in Australian Shepherds.” Please see our research page for more information on this grant. 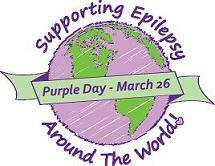 Toby’s Foundation is an all volunteer organization working to stop canine epilepsy. This is our 6th grant for a total of $55,776 for canine epilepsy research. We could not do this without your help. Your ongoing support is very important and deeply appreciated. Thank you to our volunteers and to all the individuals, clubs and organizations that have raised funds, made donations and designated memorial and honorary gifts to help us and the corporate charitable foundations for their matching gifts. 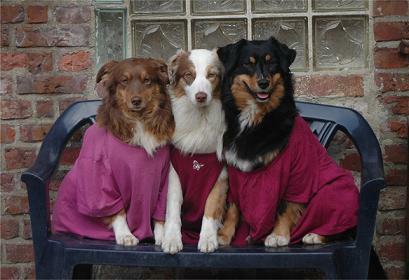 Please see our current ad for March/April 2012 in the Australian Shepherd Journal, Aussie Times and on facebook featuring Aussies Lucy, Libby and Winni helping us make our announcement and support Purple Day. Your help is still needed. Please continue to support the research by donating a blood sample from dogs affected with this disease and dogs that are 10+ years old that have never had a seizure and by making a donation for the research. Please see the information below on making a donation and visit our website to learn about submitting a blood sample.